Since being named President of CTV News in December 2010, Wendy Freeman has been responsible for news, information and current events programming, including CTV NATIONAL NEWS, CTV News Channel, BNN, and CP24. Also under her leadership are QUESTION PERIOD, POWER PLAY, and W5. Freeman presides over all Bell Media news editorial content and newsgathering efforts for television and digital, and oversees the newsrooms’ day-to-day operations. She has led CTV News’ award-winning and most-watched coverage of the world’s biggest news stories, including ISIS, the Ebola crisis, Lac Mégantic, the Boston Marathon bombing, the papal election, the Ottawa and Moncton shootings, the death of Jim Flaherty, Malaysia Airlines MH370, the Canadian Senate expense scandal, Nelson Mandela’s passing, as well as numerous Canadian federal elections. A recipient of the 2015 President’s Award from the RTDNA, Freeman has also been recognized as the 2014 Woman of the Year by Women in Communications and Technology (WCT) and as one of Canada’s Most Powerful Women: Top 100 by the Women’s Executive Network (WXN) in 2012. Under Freeman’s leadership, the CTV News division has been recognized with the prestigious Radio-Television News Directors Association (RTDNA) Bert Canning Award for Best Newscast for CTV NATIONAL NEWS for four consecutive years as well as nine Canadian Screen Awards since 2014. 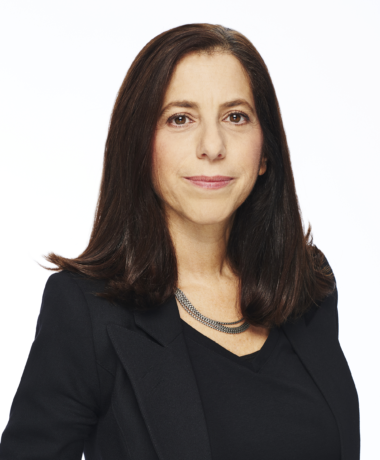 Previously, Freeman held a variety of senior management positions with CTV News, where her leadership in the competitive marketplace strengthened CTV’s position as Canada’s most-watched news organization and made CTV NATIONAL NEWS the top-rated newscast in the country. Prior to joining the company, Freeman worked at WPIX-TV in New York and WXYZ-TV in Detroit, as well as Citytv in Toronto, where she began her television career. Freeman, a Montréal native, graduated from the University of Western Ontario with a Bachelor of Arts in Philosophy.